with disposable cylinders and cartridges. 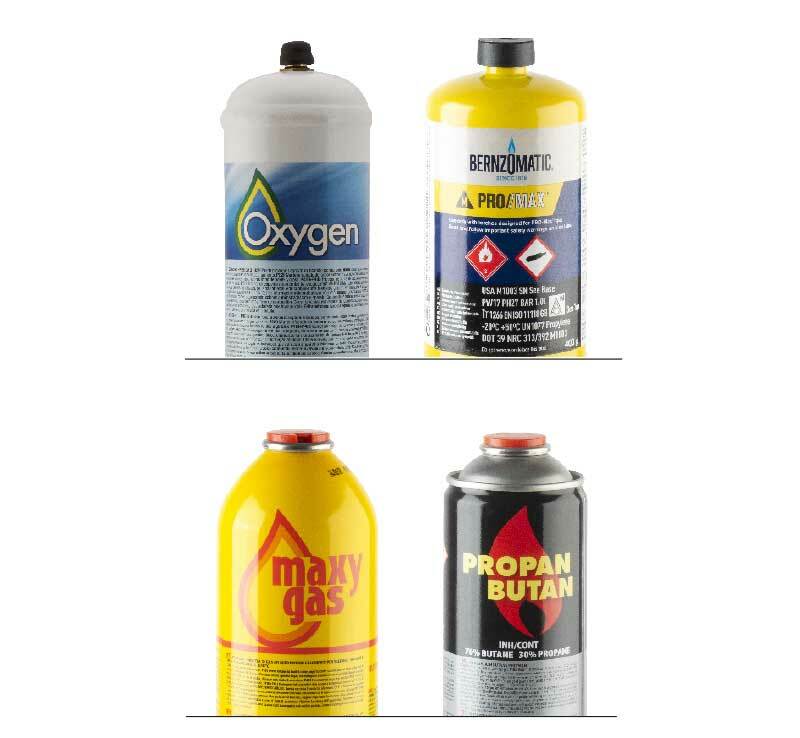 The international standard of comparison for those offering autogenous welding sets with non-refillable oxygen cylinders and gas cartridges. All contained in an elegant, small size metal trolley that allows for easy and convenient transportation thanks to its cylinder locking devices. 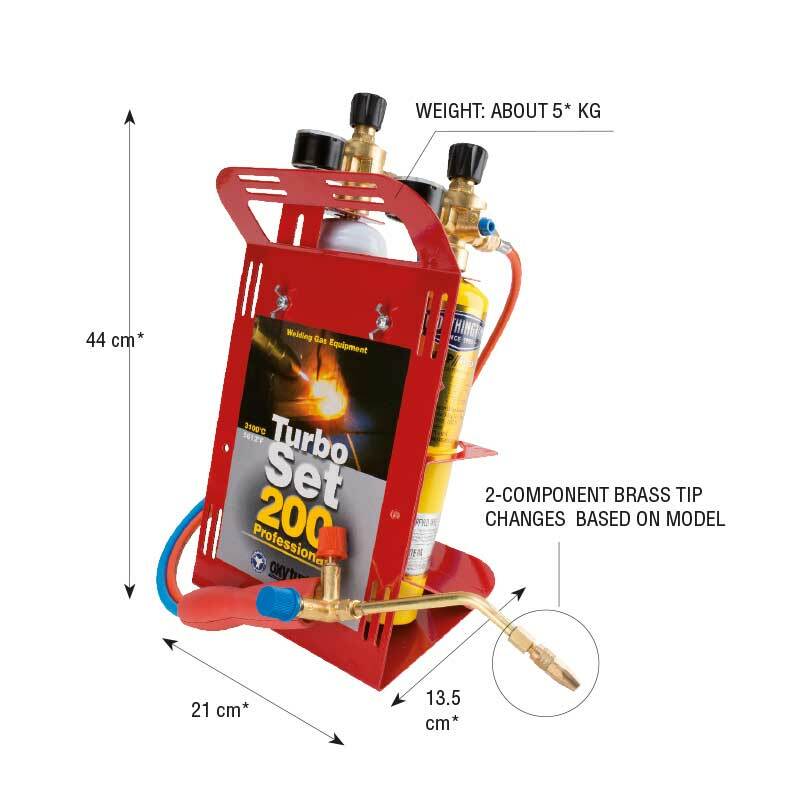 Turbo Sets are compact, powerful, high performing and provide installers with professional welding which is particularly suitable for hydraulic, air conditioning, refrigeration and soft brazing work. Product safety is guaranteed by 4 dual-protection flashback arrestor valves positioned on the torch body and inside the reducer and the tap. 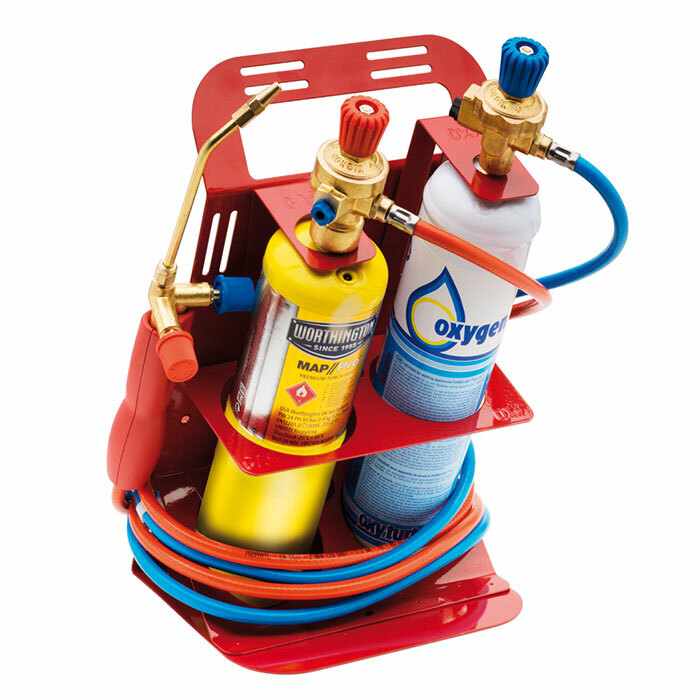 Numerous accessories, filler metals and spare parts are available making work even easier. 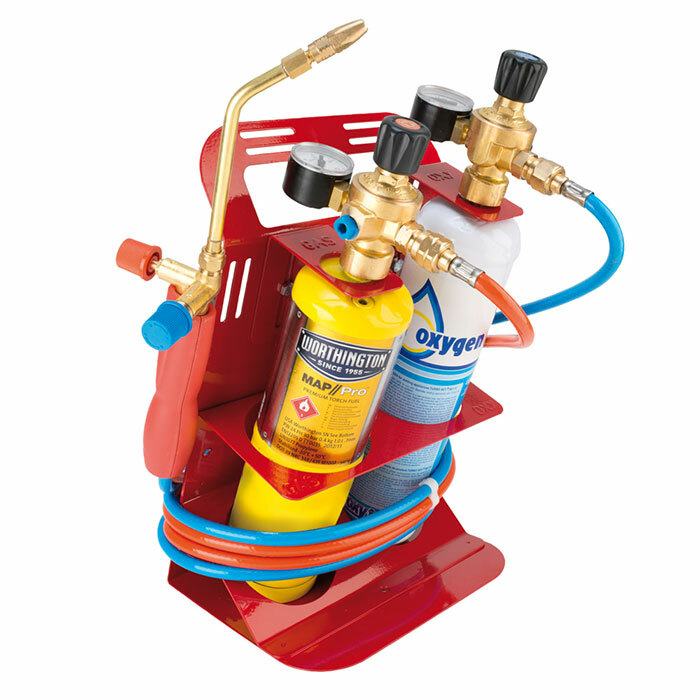 A very compact kit: 27 cm high, an inclination of 30° to avoid overturning with fixing brackets for disposable cylinders. The presence of pressure gauges on reducers enables continued monitoring of oxygen cylinder pressure and optimisation of gas cylinder reducer regulation. The most professional amongst small autogenous welding systems with non-refillable cylinders. Compact and in a stylish metal trolley, for powerful welding. 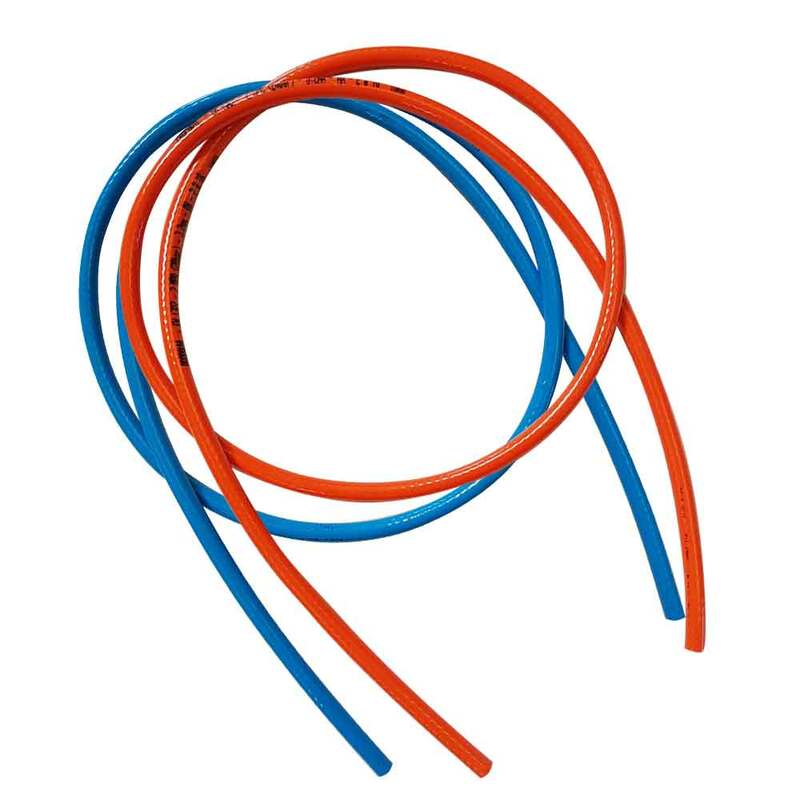 This Turbo Set allows great flexibility in welding, brazing and heating with a choice of 5 different tips. It is the best choice for installers in thermo-hydraulics, conditioning and refrigeration. Product safety is guaranteed by 4 dual-protection flashback arrestor valves positioned on reducers and inside the torch. 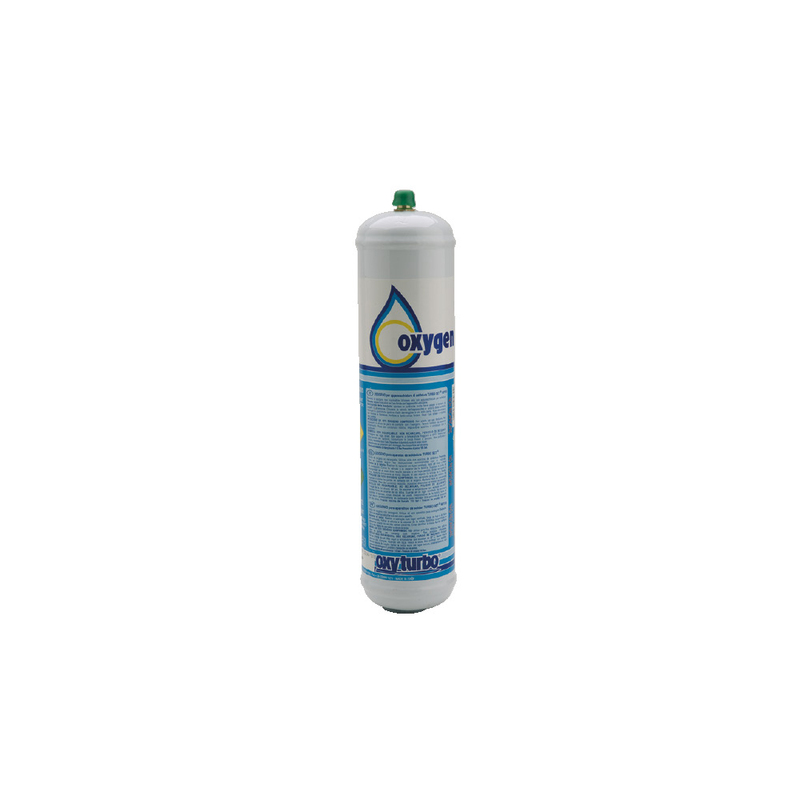 Supplied with PRO//Max 400g cylinder. 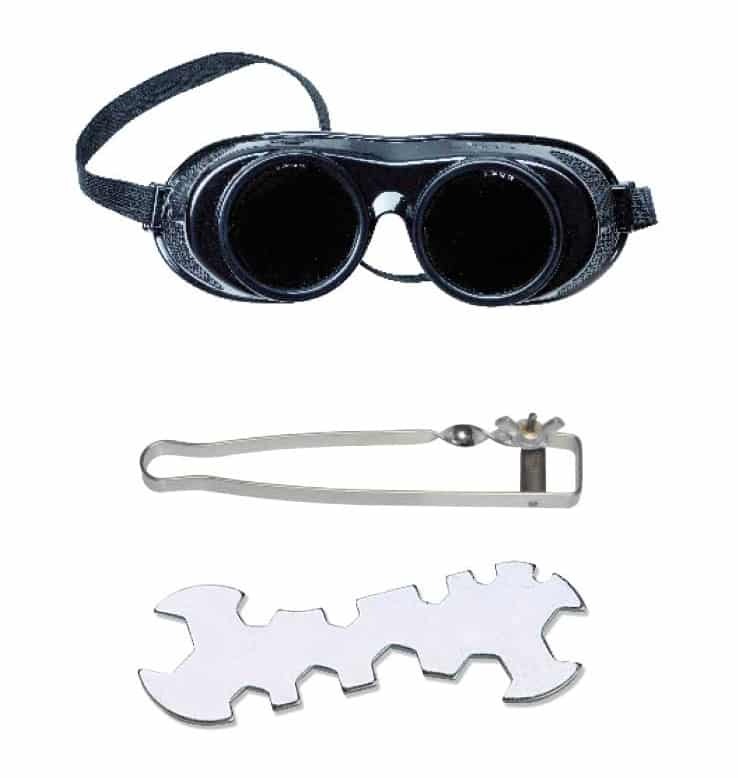 The range includes accessories such as igniters, protective goggles, 4-tip single block star for small precision welding (goldsmiths, dental technicians, etc. 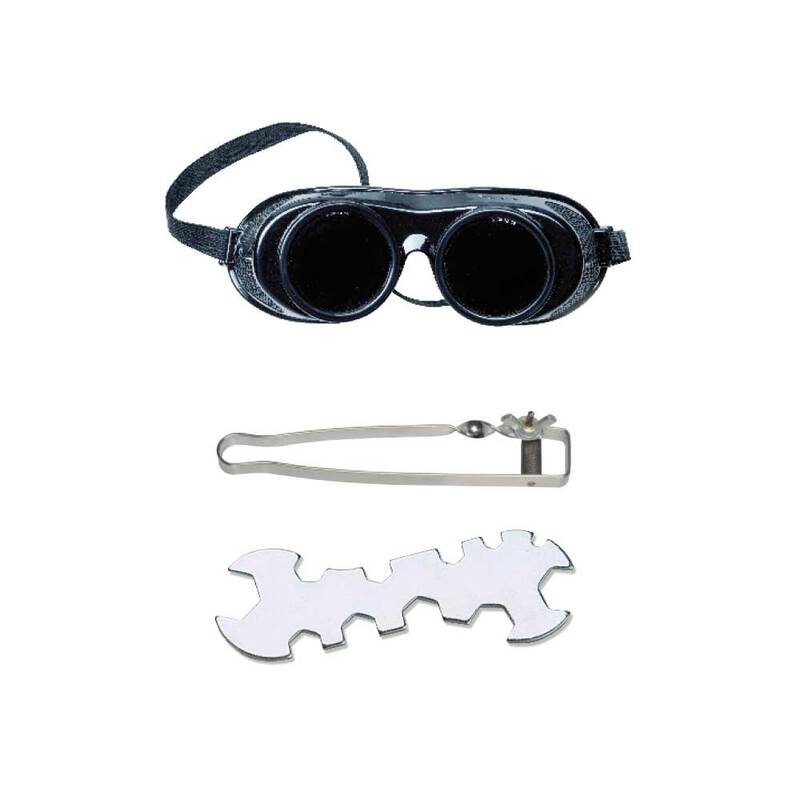 ), multi-purpose wrench and filler metal enabling immediate product use. 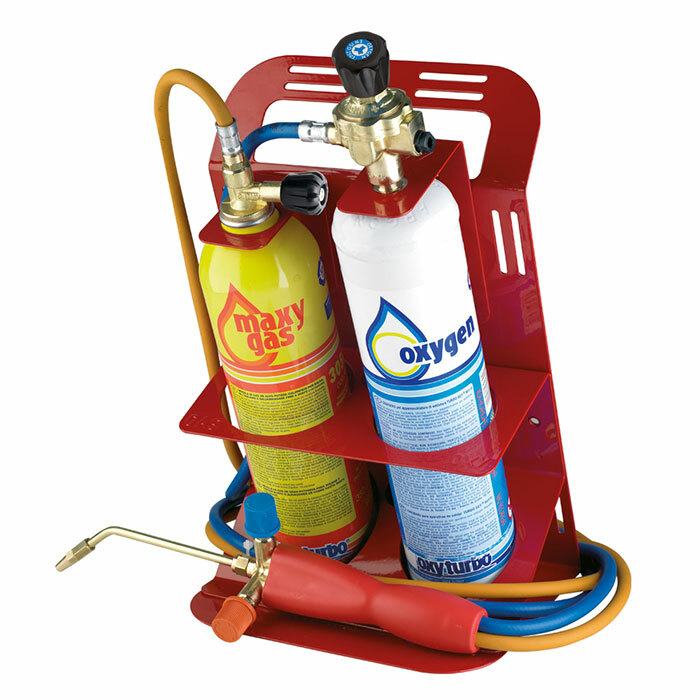 Autogenous brazing unit with non-refillable cylinder and cartridge with 110 bar of oxygen and 330 grams of propane/butane. 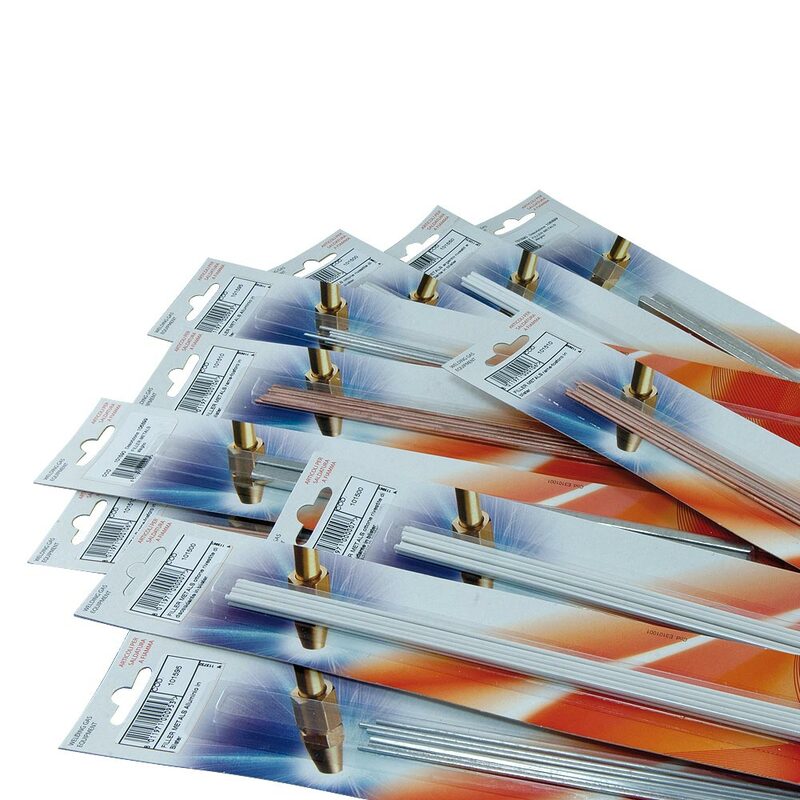 Guarantees maximum safety in use and allows a wide variety of performance in multiple soft and hard brazing applications. New concept and design integrating no-return valves with dual protection for oxygen and gas in the body. 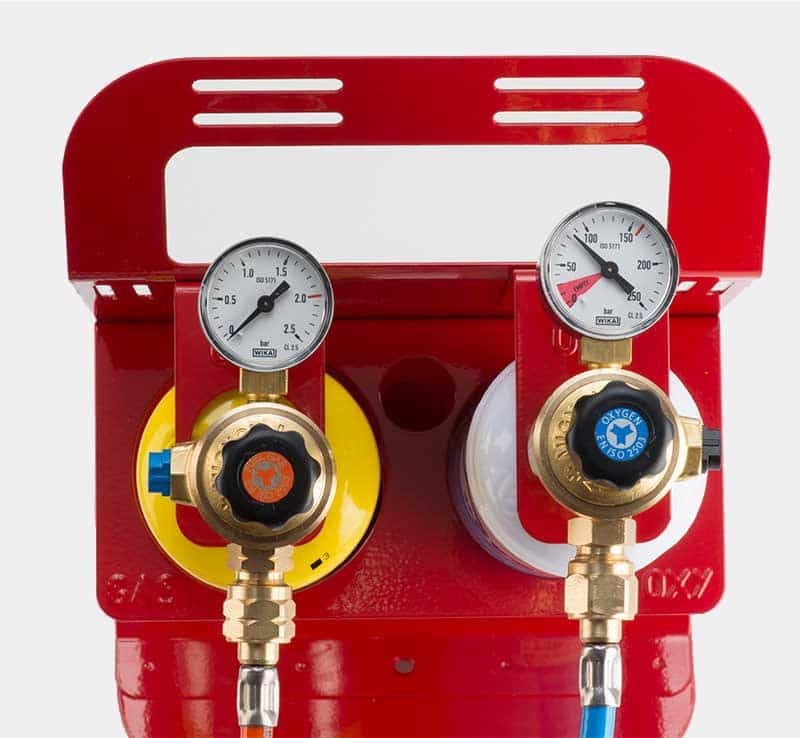 TURBO SET 200 and 110 are fuelled by a 110 bar oxygen cylinder and a PRO//Max cylinder with a high calorific value gas mixture that allows installers to perform much of the work in the thermo-hydraulic and air conditioning sector. TURBO SET 90 and 30 are fuelled with disposable cylinders and cartridges supplied in kits and which are easily available. 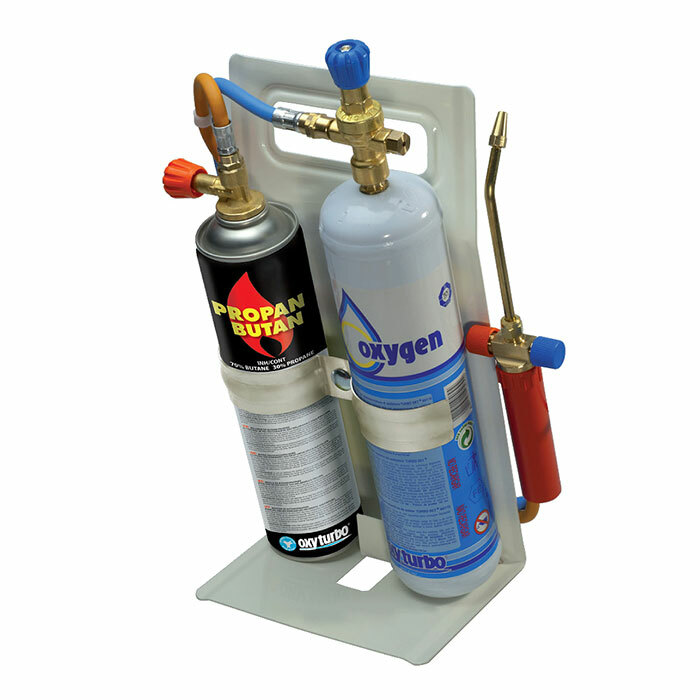 The 110 bar oxygen cartridge and Maxy Gas and Propan/Butan cartridges ensure good autonomy.